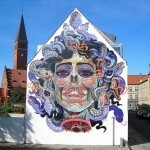 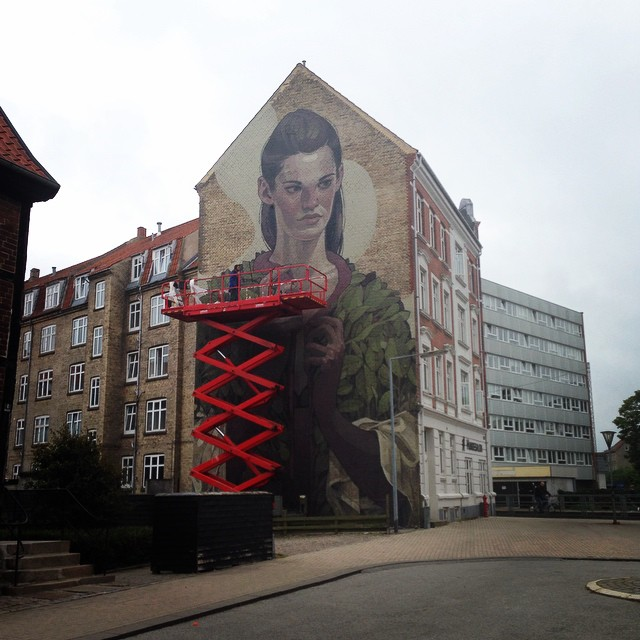 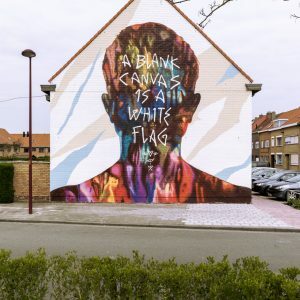 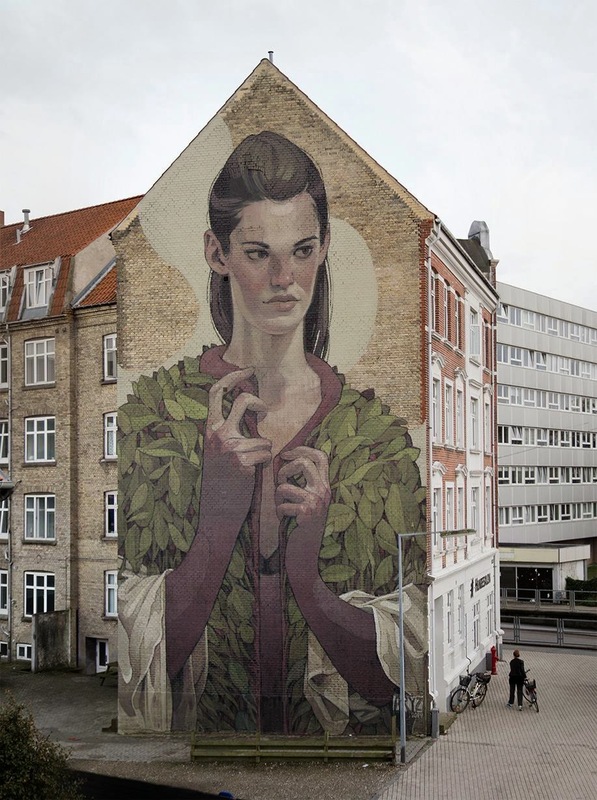 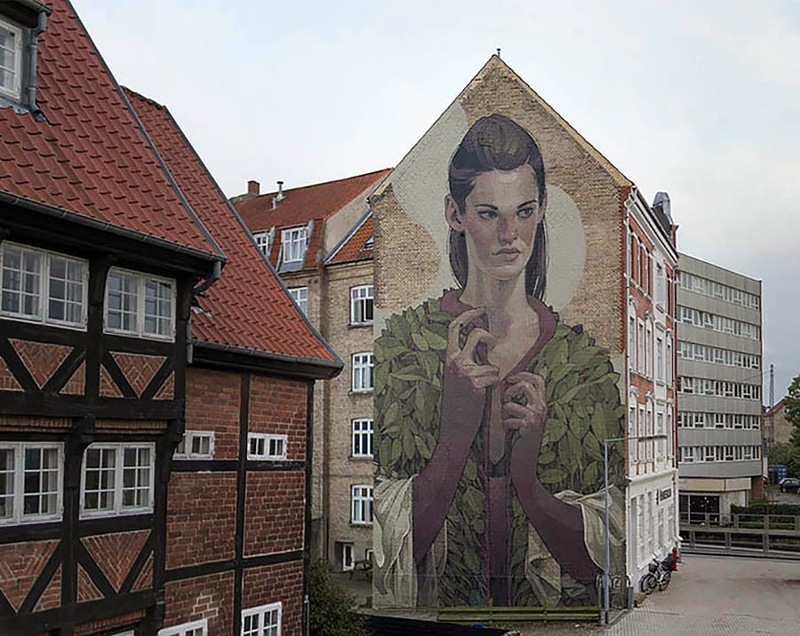 The We Aart Festival is underway and Aryz has finished the first mural on the streets of Aalborg, Denmark. 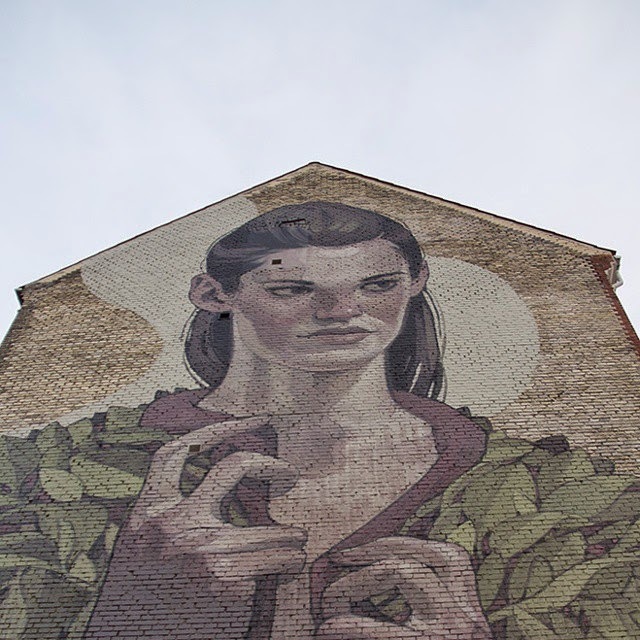 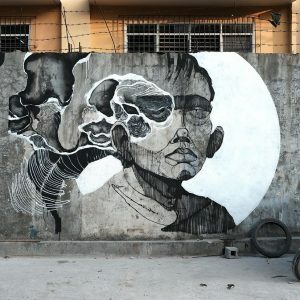 Working under the rain, the Barcelona-based muralist once again worked on a truly epic scale and dropped his usual character based work with this lovely woman. 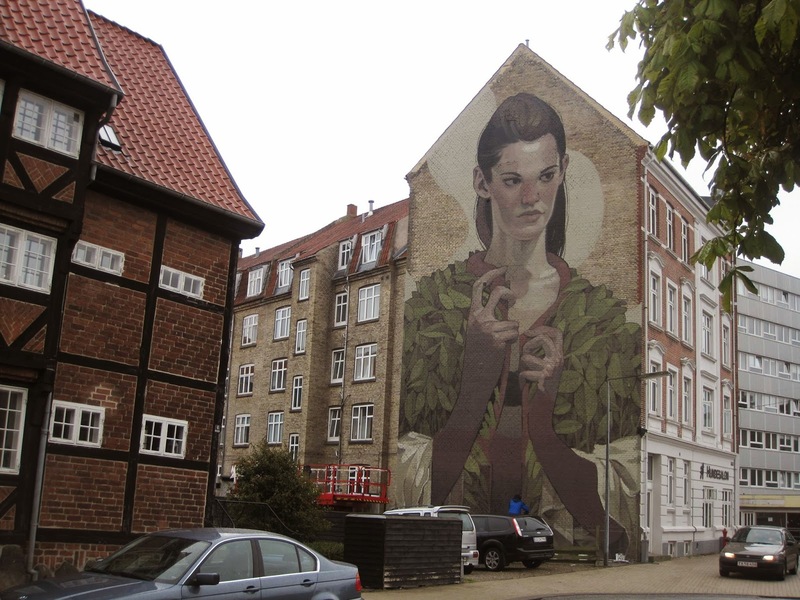 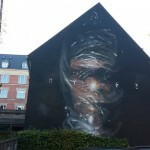 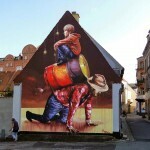 If you stop by Aalborg, you will be able to find the piece on Lindholmssti 2.